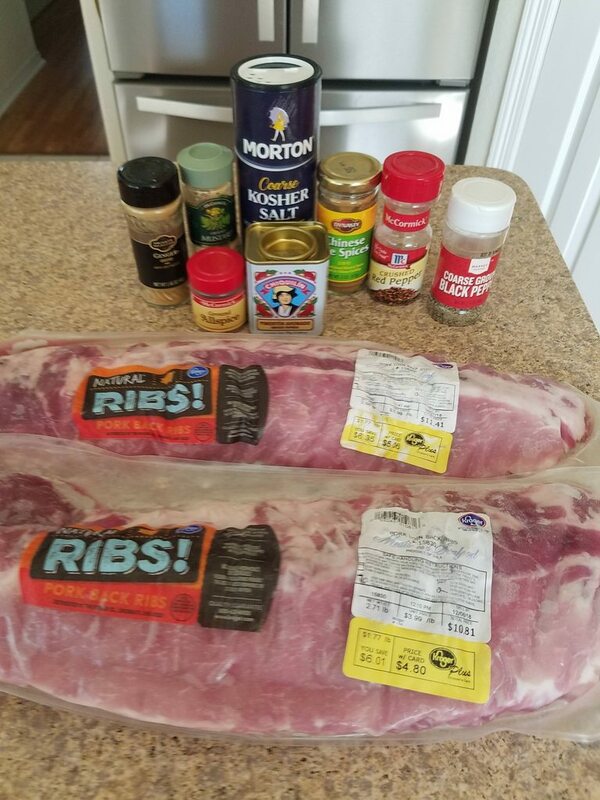 I wanted to try something different from the same old BBQ'ed baby backs so I gave this recipe a try. 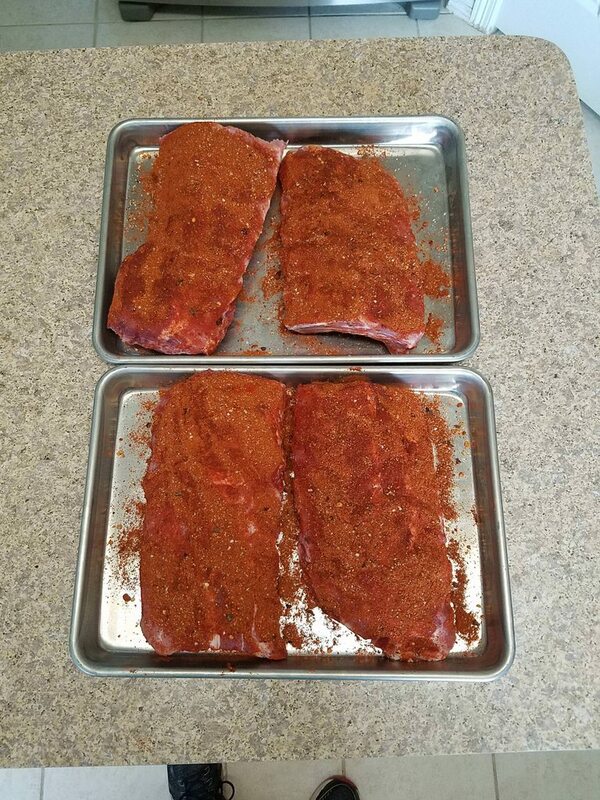 $10 worth of BB's and the rub ingredients. On the 18 with KBB and some apple wood. My trusty Bug-A-Salt is one of my newest toys to have around when I'm cooking outdoors. I put a laser on it too. 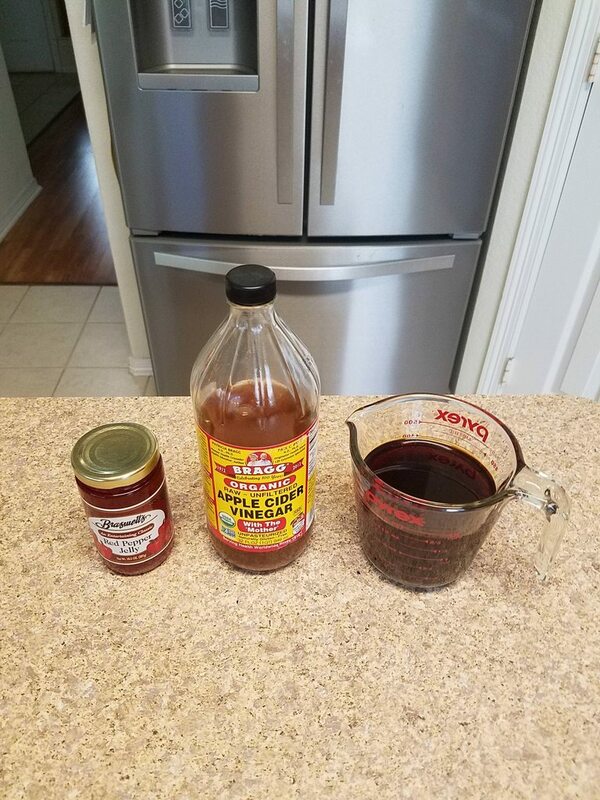 This is for the braising liquid. 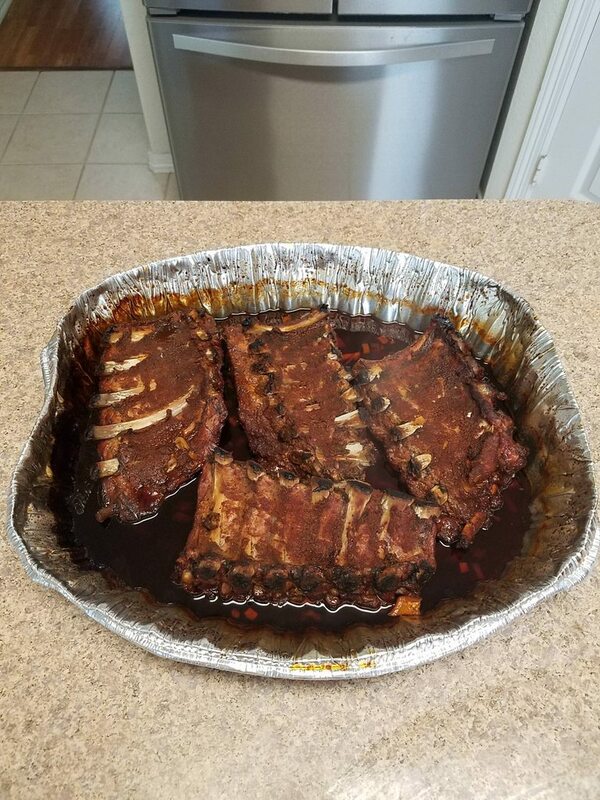 After 2 hours at 230 the ribs went in the bath and were covered with foil. This is after 3 more hours at 325. 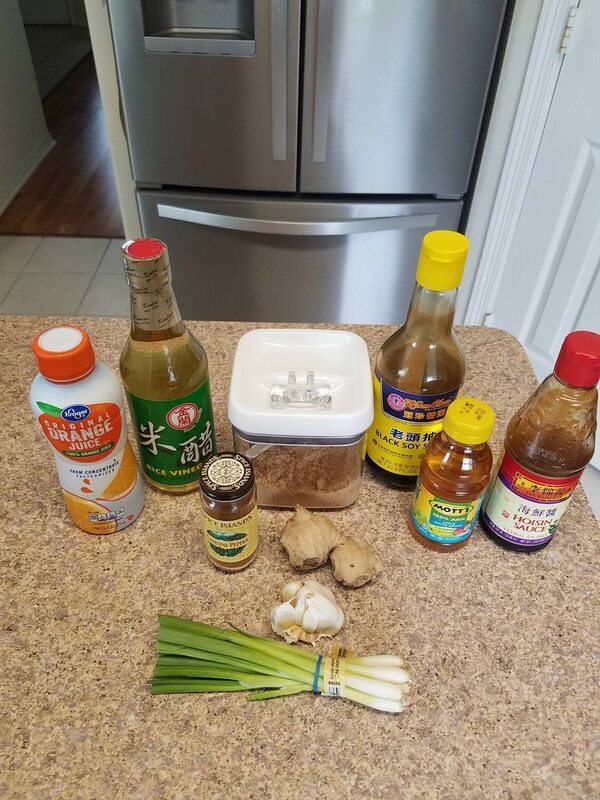 Ingredients for the sauce. That is strained braise liquid in the pyrex. 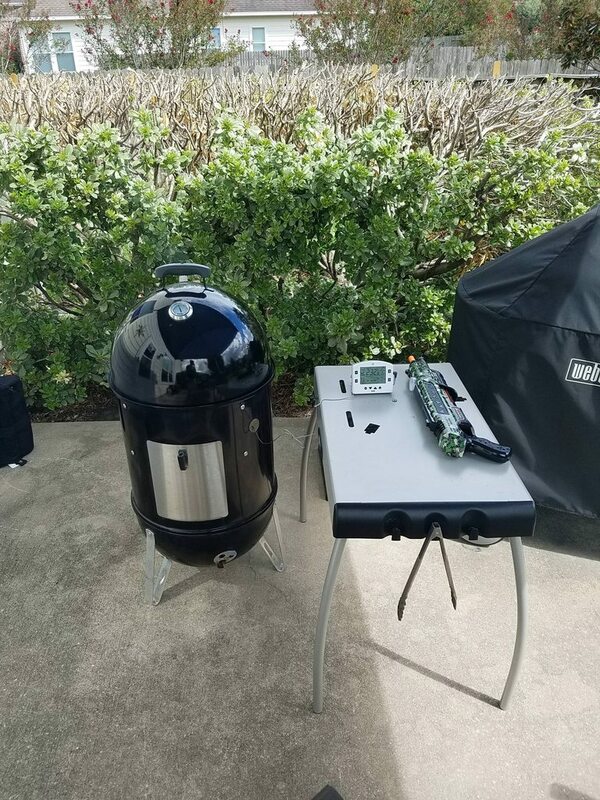 Directly over the coals on the WSM to finish. These were tasty, a nice break from the usual BB's. Next time I'll shave an hour off of the braising time, they were a little too tender. Thanks for looking. 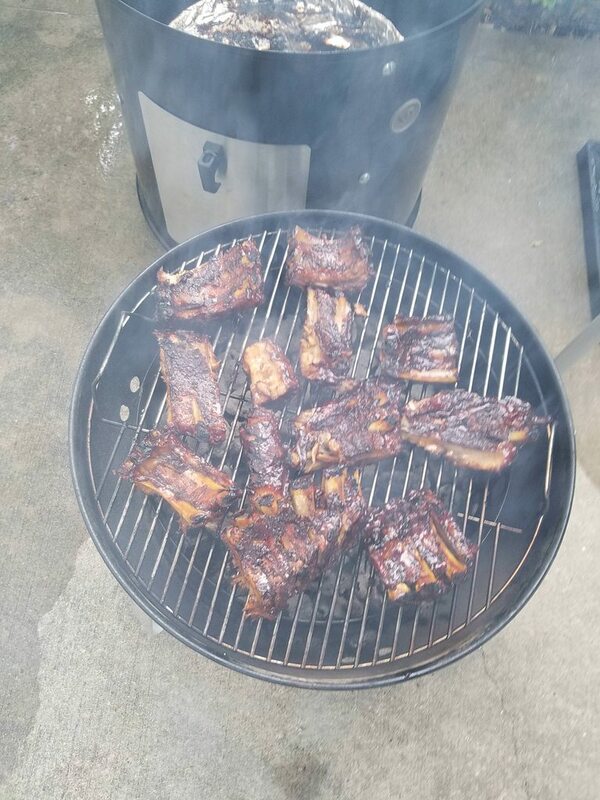 Different approach to ribs. I'm sure they were quite tasty, nice cook. Wings?? Well, no matter what they're called they look delicious. You're playing to one of my favorite tastes there Pat. Love those ingredients. How would the bug-a-salt work on yellow jackets? We're inundated this year. We have 4 traps out and fill them daily. Oops, I think it auto-filled wings. I don't think I would use it on yellow jackets. Every once in a while it takes two shots to down a fly. I don't think I would want to give a yellow jacket a second chance. Looks wonderful Really enjoy them with basmati rice for a side. But Asian ribs should have toasted sesame seeds on them as well as the green onions. Really adds that something special. You are correct Len, the recipe actually called for them. My 8 year old daughter, who loves just about everything I cook, is allergic to sesame seeds. We had to use the EpiPen on her once before and I don't ever want to do that again. Perfect choice! Family ALWAYS comes first. I'd like to give that recipe a try, nice cook Pat. My buddy has one of those salt guns, keeps the kids entertained while he cooks. Looks tasty! 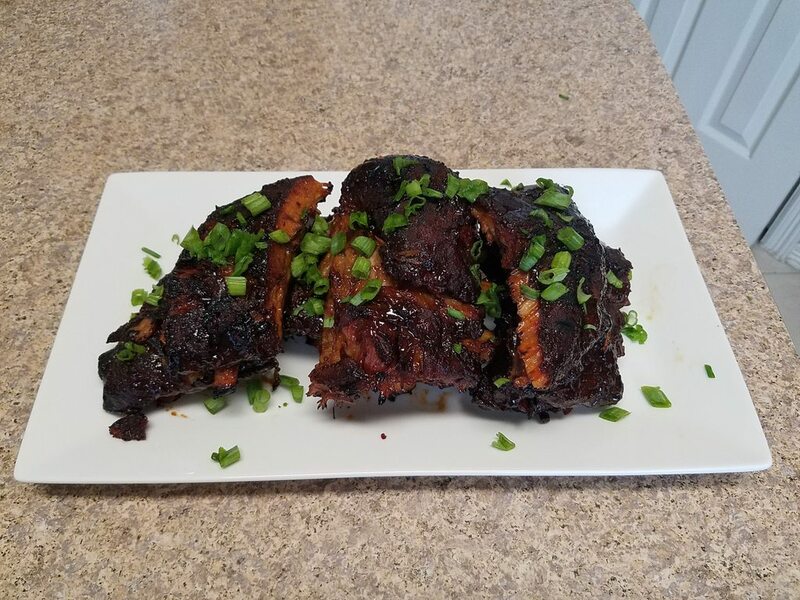 love Asian style ribs, and wings! Excellent cook. I may have to try those. 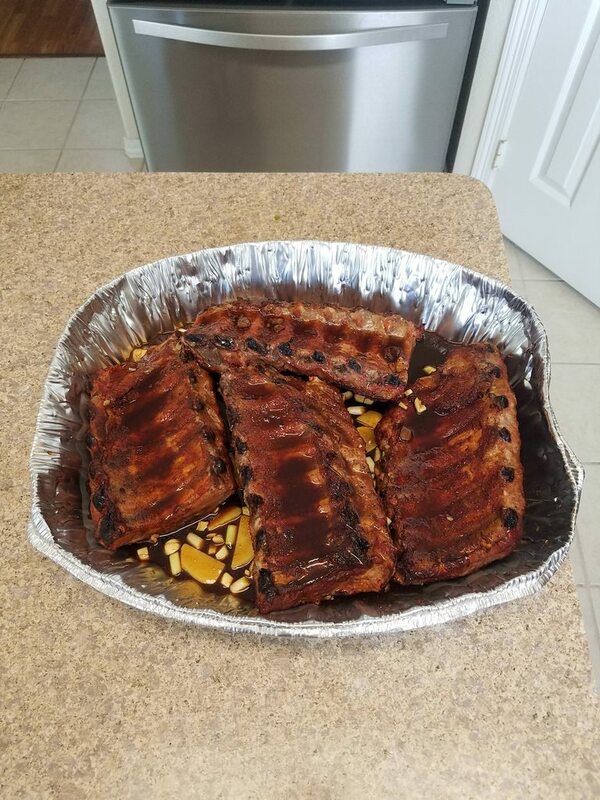 My wife is kind of iffy with ribs. These might convert her.